A textile and export company came to Samsika with a dream - to develop a consumer brand in India. 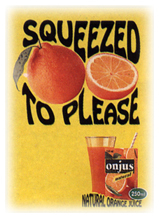 Samsika made that dream a reality by making Onjus the second largest brand in the fruit drink/juice category. Onjus today has a healthy 19% market share within a short span of just 16 months. Samsika's involvement was complete, from helping create the entire sales & distribution network to selecting the ad agency, advising on branding & pricing and helping institute the marketing & sales systems in 302 towns. a comprehensive marketing strategy including the launch, pricing, ad agency selection and sales & distribution. 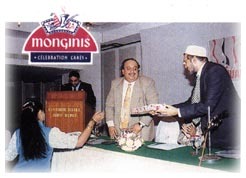 Monginis was given a customer orientation and positive perception management. A strong campaign was supported by periodic promotions. Internally too, Samsika advocated a complete overhaul, dividing operations into distinct strategic business units and independent profit centres. The results led to a national brand presence - over 70% growth in the number of cake shops to 184 and an increase of manufacturing franchisees from 1 to 7. Exploring new markets for new products was the challenge before Samsika as far as Navneet Publications was concerned. Children's books and stationery were two entirely new SBUs initiated by Samsika. Samsika showed it was possible to post spectacular growth rates - stationery (SBU 3) sales increased by 96% and children's books (SBU 2) sales went up by 30%. Samsika initiated the Navneet Redemption Centres (NRCs) which today boasts of a healthy 162 members. A new SBU 4 with a newspaper for kids was positioned with the help of a memorable ad campaign under Samsika's guidance. Complete involvement right from inception has helped Samsika Marketing Consultants post spectacular results for Navneet's Stationery division. Starting the unit was supported by Samsika. After the integrated brand building blueprint was drawn up segmenting and positioning the brand, Samsika rolled up its sleeves and set about the task of getting each and every element in place. Right from the recruitment of the first salesman, Samsika oversaw everything, including the setting up of the Samsika Sales & Distribution Systems. In three years, manpower went up from seven to 23; distributors from one to 47; and sales grew by 100% each for three consecutive years. Samsika positioned the brand as 'convenience writing pages', formulated the advertising brief after helping choose the communication partner and suggested the baseline, 'Jiske haath mein, uski jeet. Hey Navneet! Hey Navneet!' 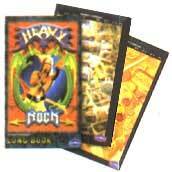 Ordinary stationery, treated like a commodity, can show wonderful results when transformed into a brand. A little like the duckling turning into a beautiful swan.